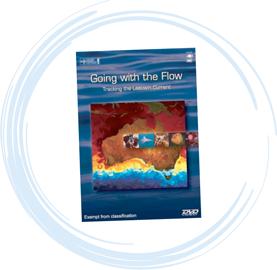 Going With the Flow – Tracking the Leeuwin Current is an excellent documentary that follows the path of the Leeuwin Current from the mudflats and mangroves of the Northwest to the cold water reefs near Esperance. The documentary investigates the role of the current and reveals its importance to our amazing ecosystems. 10 minute general introduction for younger viewers, as seen in the Naturaliste Marine Discovery Centre. 28 minute uninterrupted full feature. Chapter version of full feature for teaching purposes. The documentary was produced by Blue Office productions and the Marine Information & Research Group Australia in cooperation with Coastwest and the Department of Environment and Conservation.